When it comes to celebrated and beloved albums, Pink Floyd Dark Side Of The Moon is right up there. So there's no doubt going to be huge interest from fans and collectors alike for this auction. Because it relates to the recording console that the legendary 1973 album was recorded on. It's hard to deny that it's one of the most iconic rock albums ever made, but what's not so well known was how if was further enhanced during the recording process by the cutting-edge technology. Technology that was on hand courtesy of Abbey Road's incredible sound engineers and technicians and their hand-built recording console. Dark Side of the Moon was an album Floyd drummer Nick Mason said in his book, Inside Out, A Personal History of Pink Floyd, encompasses "Deadlines, travel, the stress of flying, the lure of money, a fear of dying, and the problems of mental instability spilling over into madness." 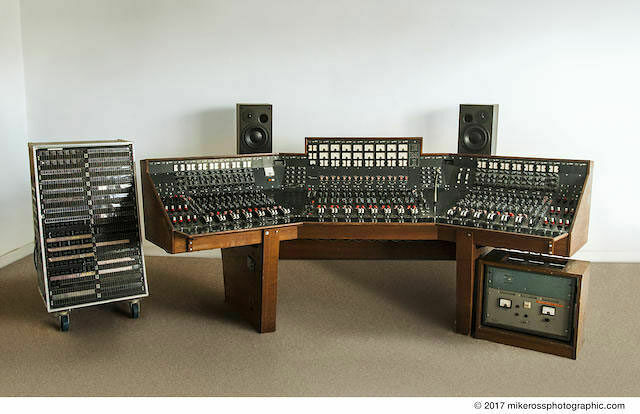 The console originally comes from the legendary Abbey Road recording studios, where the album was made, and is listed on the website of auction house Bonhams as console EMI TG12345 MK IV. The site lists it as Lot 35 and notes that it was used between 1971 and 1983 in Studio 2. It was one of only two consoles that were custom made by engineers at EMI for Abbey Road, and has been referred to as "the greatest console ever constructed"—mainly because of this collaboration and because of its expert craftsmanship where each part was built with "military precision." Bonhams also say that the stunning sound of Pink Floyd Dark Side of the Moon is testament to the equipment's superior engineering (see the video above). 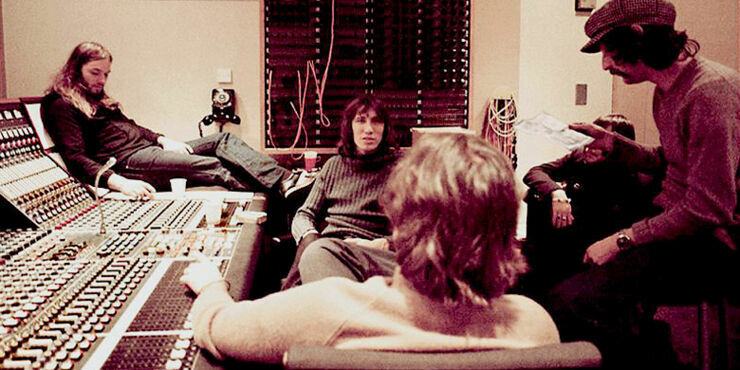 Along with Pink Floyd the console was also used by musicians including Paul McCartney and Wings, George Harrison, Ringo Starr, Kate Bush and The Cure. For those wanting to know the technical specifics it has, "40 channels with limiter/compressor on each, 4 echo returns and 16 monitors, MK3 feature cassettes, track monitor cassettes, dual channel 16 track sync mixer, two banks of 12 pairs of microphone channels, 8 pairs of main channels to centre section, monitor level controls for tracks 1-8 on left and 9-16 on right side, Ernest Turner manufactured VU meters comprising 16 full size VU meters and approximately 50 channel VUs, quadrant radial faders by Painton, with approximately 1600 capacitors (many original)." It also comes with letters of provenance—including a letter from former Abbey Road Studio Manager Ken Townsend—an instruction manual, a documented history from Brian Gibson, the Studio Technician for Abbey Road and a copy of the album The Dark Side of the Moon (1973) Harvest pressing. As for the price it might reach, considering it's a hugely important part of rock history, it's not going to be cheap. It's estimated it will go for around six figures. If you're thinking that's within your price range, it will be auctioned at the TCM Presents…Rock and Roll Through the Lens sale at Bonhams New York on 27th March 2017. For those who won't be able to afford to bid you can still bask in its presence, because it will be on show at Bonhams Knightsbridge from 19th March until the sale. It wouldn't be fair to wax lyrical about all the technology, background and history involved around this classic album without letting you experience the end result. For the fans who've heard it a thousand times and for the people who have never heard it before (do they exist? ), here is The Dark Side Of The Moon in all it's glory. The Dark Side Of The Moon (Track Listing).